The Parliament Building right outside the walls of Upper Town is probably one of the best deals around. A free tour and all you have to do is make a reservation ahead of time. They have both English and French tours throughout the day. It is a little intimidating at first because your identification is checked and you go through security but since it is where Quebec government is run totally understandable. The tours themselves are quite informative and well done. The building is beautiful and historic like the city itself having been built nearly at he time of Canada’s founding. 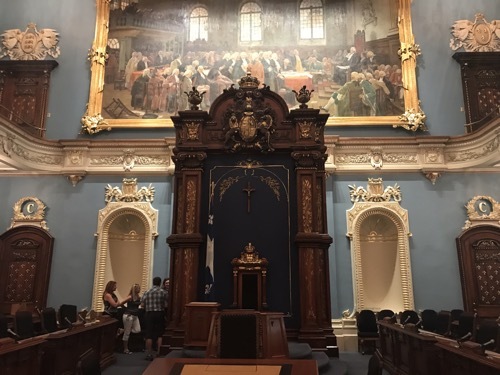 The Parliament Building is certainly a must see on any Quebec itinerary.